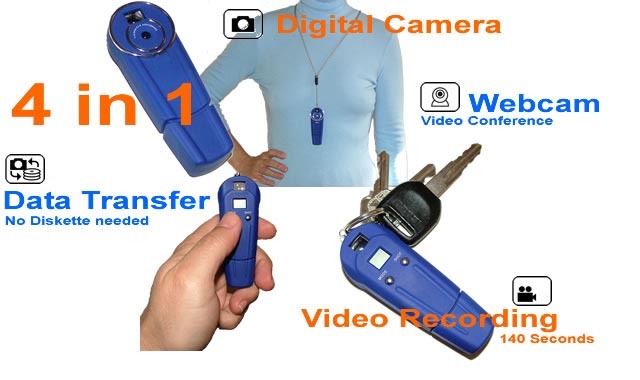 A New Kind Of Micro Digital Camera And Evidence Grabber! Limited Time Close Out Sale! PI BLUE IS A DIGITAL STICK YOU CAN WEAR! Look no further for the ultimate in portability. and wearability. miniaturization technology unites incredibly small form with dynamic function in this sleek digital camera. Built for work on the go.Now it's those moments captured that were once missed. Now you can make instant evidence with the PI BLUE. Wherever, whenever - whatever! Just point and shoot - it's that easy. 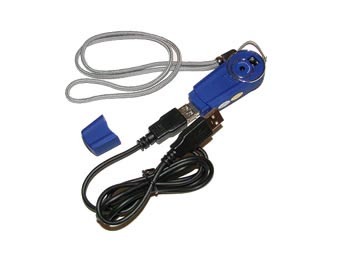 The internal 416b (SDRAM) memory lets you take 60 pictures in VGA mode which can be shared and exchanged on any PC. 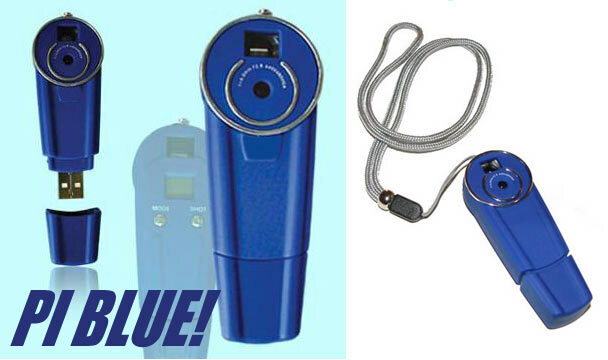 In fact, go right ahead and store or transfer any digital file on a PC with this device.PI Blue is multifunction and also gives you the ability to record those hard-to-get short video shots you always wished you had the ability to get with your out-of-the-vehicle checks! Plug and Play memory stick. Use the PI BLUE for data transfers. Wear It Around Your Neck! Keep It On Your key chain!